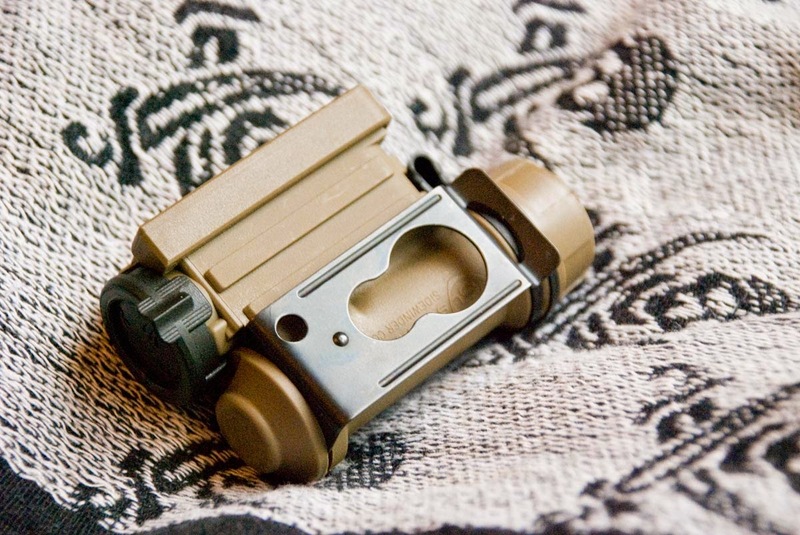 The Streamlight Sidewinder Compact II is about as versatile as you can get. The four color modes (white light, blue, red, IR), each with five brightness levels (low, med 1, med 2, high, beacon) is cool but not particularly impressive. What is impressive is the Sidwinder's ability to run off three different types of batteries - CR123A, AA or AAA. Yep, you read that right. It can run off of any of those battery types. Streamlight doesn't advertise AAAs working, but they most certainly do. The single cell battery compartment is smartly designed to expand/contract to fit the cell size - it's spring loaded, so it adjusts automatically when you slip a different cell in. And it actually works, too. Keeping on that theme of versatility, while the Sidewinder is primarily likely an upgrade to your headlamp, it can do more than that. It has a very useful and bomb proof metal clip for attaching to webbing, belts, shoulder straps, etc. Or use it as a pocket clip. There's even a hole for adding a dummy cord or lanyard. The light has negligible weight - only a few ounces - and fits well in the palm for hands-on lighting. The UI is very good, and one of the few that easily can be used by touch alone. The various modes come on at their lowest setting and step up in brightness from there, which is exactly what you'd want in a tactical situation and to preserve battery life. The switch operates silently, without the tell-tale clicking of many switches. Similarly, rotating the light is also silent - no ratcheting noises. The light is constructed from a very durable polymer, with an unbreakable lens and rated for full submersion for at least 30 minutes. It feels solid, rugged and tough in hand. Battery life is pretty good. With a CR123A, the Sidewinder is advertised to get 70 hours on low (10%), 6 hours on high (100%). With an AA, you'll see about 40 hours on low, 4 hours on high. Streamlight doesn't provide data for the AAA, but it would be obviously shorter. Since it's a single-cell light, those numbers are all with one battery. For its awesomeness and versatility, the Sidewinder ain't perfect. 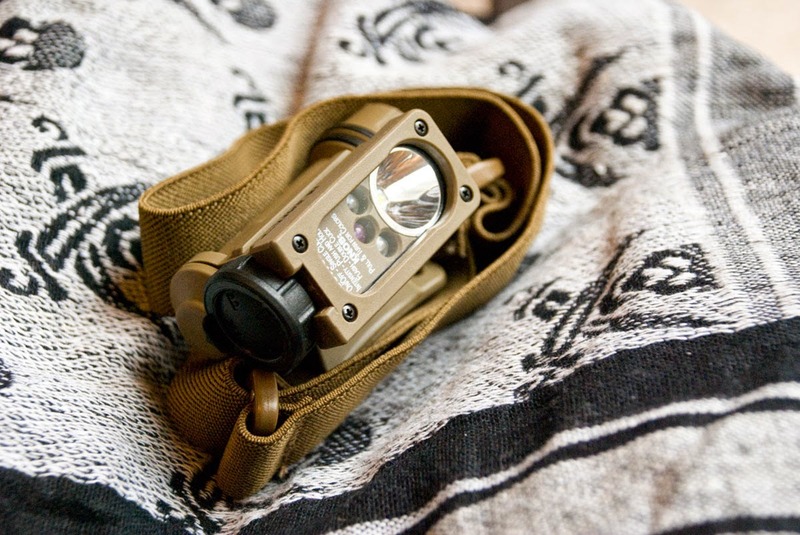 The light provides plenty of usable brightness for navigating around (around 45-55 lumens with white light, depending on the kind of battery), but it isn't capable of the eyeball blasting lumens that other lights are (see: the 500-lumen Surefire Maximus). In most situations, that level of output is overkill for a headlamp or task light, though. The low/med is what you'll be using most of the time. It'd be great if Streamlight actually slowed down the flashing for the beacon mode and/or lowered the brightness a notch or two and doubled or tripled the run time. As-is, the red/IR bulbs are rated at 24 hours in beacon mode, plus whatever else it can squeeze out of the battery - ok but not great. Anyways, if you're in the market for a headlamp or looking to upgrade, the Streamlight Sidewinder Compact II is worth a serious look. The ability to run on CR123As/AAs and AAAs is huge and can mean the difference between having a topped up light or not. The different modes give you lots of options, the UI is great and the build is rock solid. It ain't perfect, but it's pretty darn good.